Enter CUSAT CAT register number and password, click on submit. Download and print the admit card and keep it for future reference. !! !CUSAT CAT 2019 Admit Card Is Out now!!! Official website: Candidates need to visit the CUSAT CAT 2019 official website at admissions.cusat.ac.in to download the admit card. Available date: CUSAT CAT 2019 admit card is now available since 23rd March 2019. It will be available until 7th April 2019. Eligibility: Candidates who have submitted the CUSAT CAT 2019 Application Form successfully, after the application fee payment, will receive the Admit Card. Download: To download the Admit card, candidates has to log in using their Application number and Date of birth. Mandatory Document: CUSAT CAT 2019 Admit card is a mandatory document and every candidate needs to carry it to the exam centre on the day of the exam. Along with Admit Card, the candidate has to carry a photo identity proof to gain entry to the examination hall. Note: Conducting authority, CUSAT will not send Admit Cards by post or any other medium to candidates. Candidates have to download it from the official website and carry the printout of the admit card the examination hall. Step 1: Go to the official website i.e admissions.cusat.ac.in. Step 2: Click on the link named as CUSAT CAT 2019 Admit Card, it will redirect you to student's login page. Step 3: Enter the registration number and date of birth then press the 'Submit' Button, to login to your profile. Step 4: Once logged in to student's account/profile, the candidate's dashboard will appear on the screen. Step 5: If you follow the 'Admit Card' tab, CUSAT CAT 2019 Admit Card will appear on the screen. Step 6: Download the admit card and take at least two print outs of it for all future references. Discrepancy: Candidates are advised to verify all the information of the CUSAT CAT 2019 Admit Card and if there is any misinformation, it should be reported to the concerned authorities in order to avoid any future discrepancies. CUSAT CAT 2019 Helpline Number: If you have any query or complaint, please contact the Cochin University through phone at 91-484-2577100 and 91-484-2577159, and via email at admissions@cusat.ac.in to avoid any inconvenience on the day of the exam. Tamper: Tampering with the admit card is not allowed. If the admit card is found to tampered, the candidate whom the admit card belongs to will be debarred from writing the exam. Issues: In case any candidate is not able to download the admit card he/she should contact the conducting authority CUSAT, immediately. How do I get my admit card for the CUSAT CAT exam?? 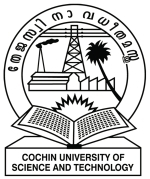 The CUSAT CAT admit card can be downloaded from the official site of the Cochin University. Tentatively, the CUSAT CAT admit card will be available from the third week of April 2017.